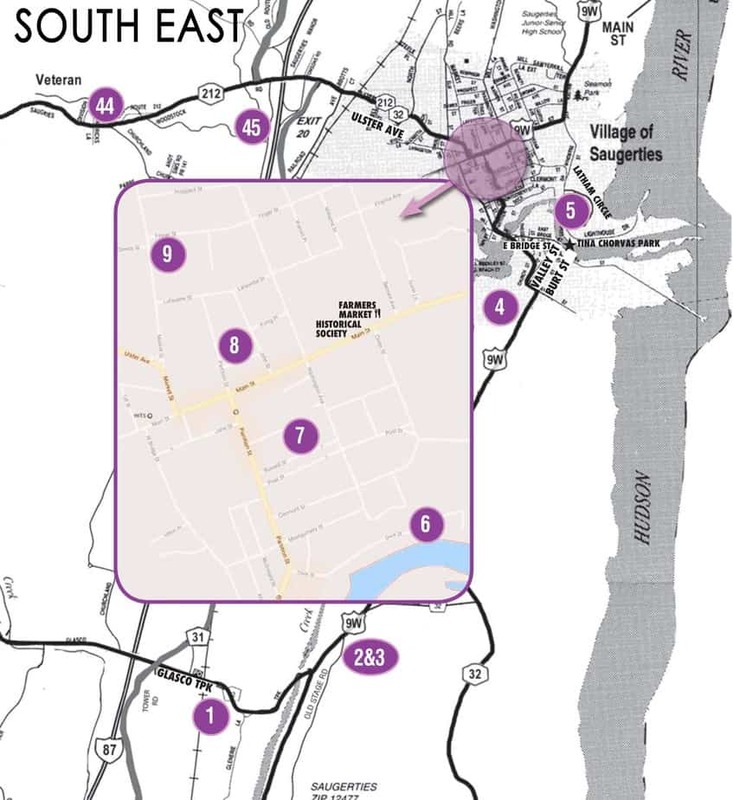 Saugerties, sometimes called the festival town, is a busy place from Memorial Day until winter’s chill sends everyone back to their cozy nests and wo od-burning stoves. 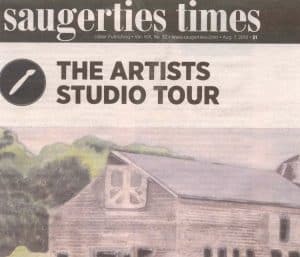 During the season of plenty, many painters, sculptors, printmakers, photographers, collagists and craftspeople prominently participate in the town’s annual art event—the Saugerties Artists Studio Tour, now heading into its 15th year. The Tour has an amazing history. Over the course of its existence, it has featured more than 120 artists, who work in a wide variety of media, embracing traditional forms along with digital manipulation, wearable art, and sculptures that run the gamut from figurative to the far stretches of the imagination. Artisans add their own fine talents with handmade furniture and functional and visually pleasing clay work, some of which pushes the medium to its limits. With so many artists tucked away in the corners of the town and village who need a venue to share their work with the community, the Saugerties Artists Studio Tour gives them that opportunity in the best of all places, their own studio. What better way for visitors to see not only completed artwork but works in progress that can lead to stimulating conversations? And what better way to see the nuts and bolts, the actual physical labor and technology that goes into creating a specific work of art? Lovers of the arts, students, upcoming artists, and the curious are all enriched by taking the Tour. Artists who will be opening their private studios during this year’s tour are: Isaac Abrams,Tara Bach, Barbara Bravo, Sharon Broit, David Brown, Michael Ciccone, Shelley Davis, Richard Edelman, Ruth Edwy, Josepha Gutelius, Mikhail Horowitz, Brian Josselyn, Marsha Kaufman-Rubinstein, Kay Kenny, Barbara Tepper Levy, Yvette Lewis, Ulf Loven, Brian Lynch, Iain Machell, Marjorie Magid, Hugh Morris, Chris Nealon, Michael Nelson, Gustav Pedersen, Bill Reinhart, Tad Richards, Jacquie Roland, Prue See, Sarkis Simonian, Michael Sullivan Smith, Viorica Stan, Raymond J. Steiner, Marck Webster, Alison Winfield-Burns and Carol Zaloom. Many of the artists have been singled out recently in special ways. Michael Ciccone installed his sculpture Momentum on the Poughkeepsie side of Walkway over the Hudson. The sculpture is made from steel that was removed from the old bridge. Hugh Morris was featured in the Chronogram Art Scene video series. Josepha Gutelius was awarded second place for Works on Paper at RHCAN in Red Hook; and Kay Kenny has been awarded the Griffin Museum of Photography Legacy prize. Many more of the Tour’s artists have been and continue to be recognized for their skill and ingenuity. 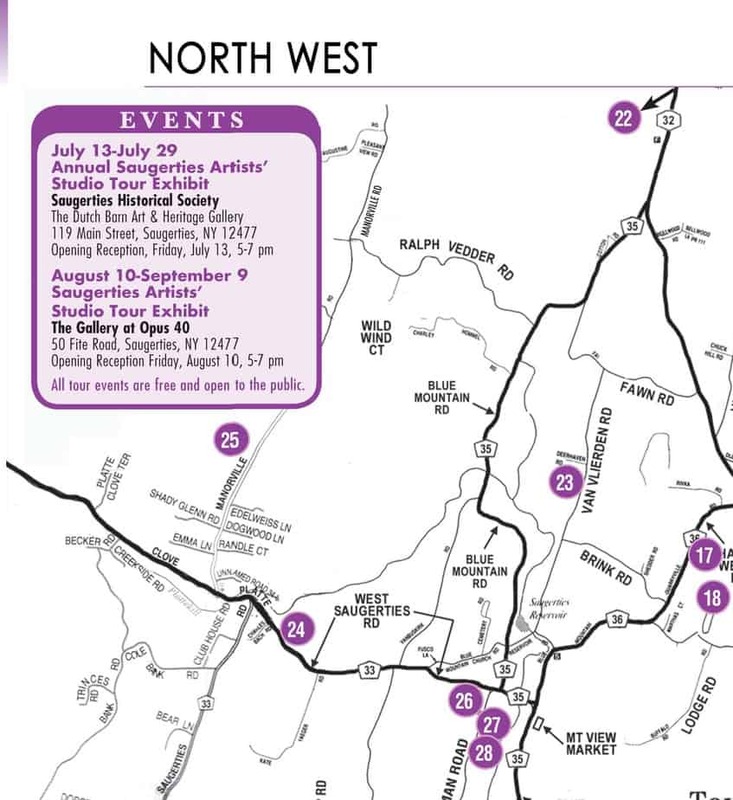 The best way to hear their stories is to take the tour during the two days of open studios in August. 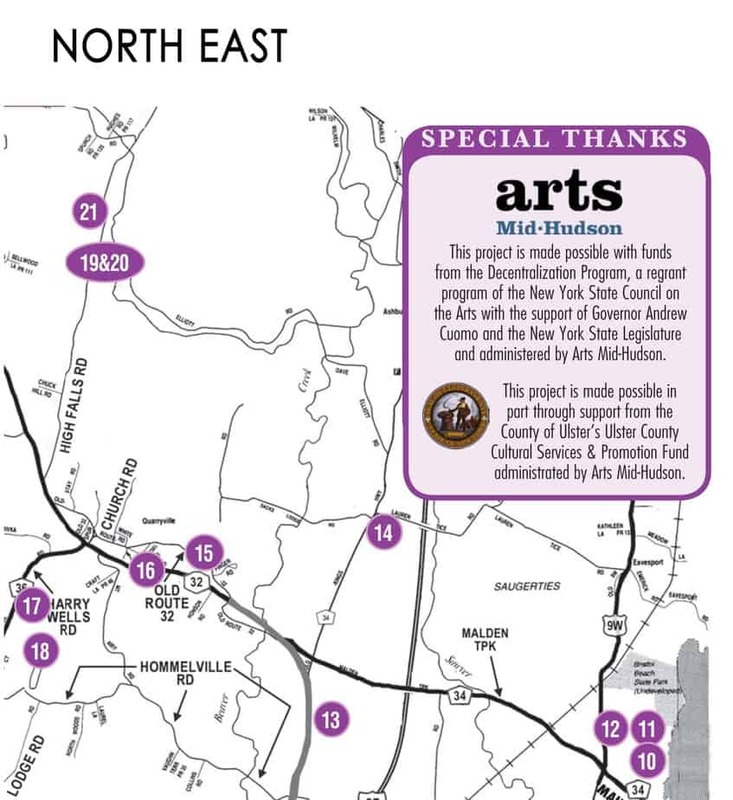 Not content to making art available to the public for just one weekend, during mid-July to mid-August Tour members will be filling the windows of many Saugerties businesses in the heart of the village. 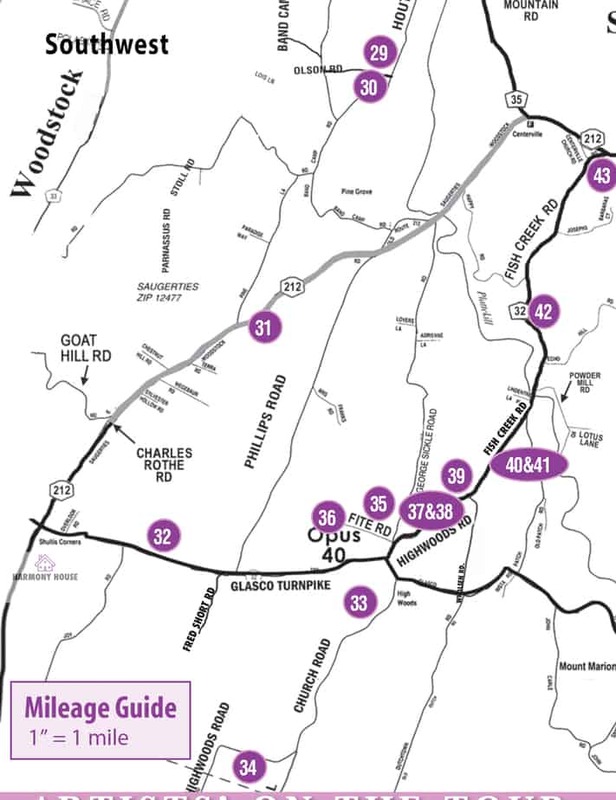 ArtSites in the Village is designed for a casual stroll on a summer’s day or evening in this historic, picturesque community. The level of talent, the range of creative expression, and the enthusiasm and commitment to art by the artists makes this event possible. 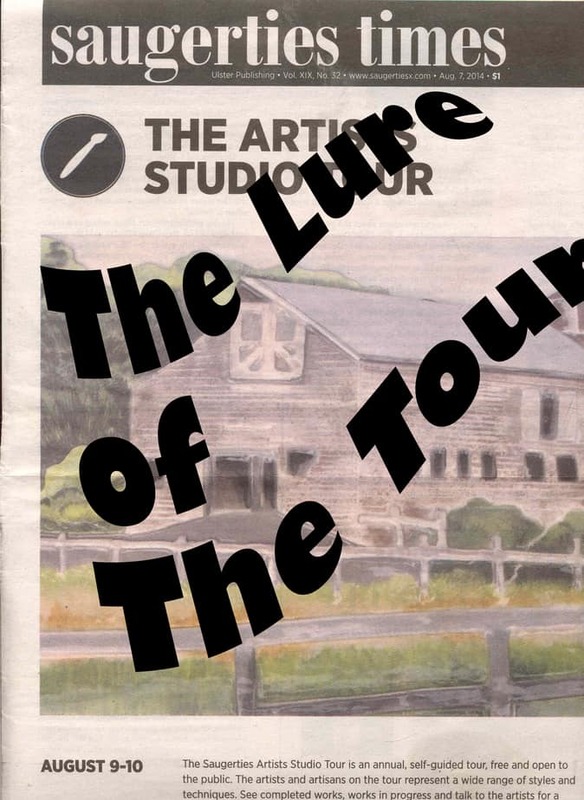 Detailed information about the tour can be found on the Tour’s website—for more information contact event@saugertiesarttour.com.